A game changer in your quest for youthful skin, this Vitamin C 30X skin serum gives a highly-concentrated dose of pure Vitamin C that penetrates skin quickly and effectively—repairing and protecting from sun damage for intense, immediate results. The mega-dose of antioxidant power improves tone, texture and clarity, increases collagen production to fight wrinkles, corrects age spots and sun damage so skin looks bright, healthy, radiant. This super-charged Vitamin C serum also helps fight acne and free radicals, supports skin function, reduces inflammation, diminishes fine lines, and smoothes the skin. Safe for all skin types; simply apply this vitamin serum to clean skin, following with moisturizers and cosmetics if desired. 30 ml. It truly makes a difference! I have used this product as part of my skin care regime. I have used this specific product alone or under other skin care products. I am in my mid sixties and I get compliments on my skin all the time. I am told that my skin looks healthy and youthful. I also get comments on my lack of wrinkles. I feel this serum reduces my fine lines. I have been using it now for several years. it works... I use it on my whole face eyes too. and I have been able to just use this and my foundation for a great clear skin look. it last a long time as well. Vitamin C is very good for your skin. I used to use Vitamin C oil, but it made my face look too greasy. I'm prone to seborreheic keratosis, but since I've been using this product, I no longer get them. I am in my mid 60's and people tell me I look much younger. I give the credit to this product. I use it twice a day and after application I put on my other facial products. I think I have been using this product for five years. It hydrates my skin and makes it feel smooth. How much should be applied per application? BEST ANSWER: Thank you for your question. It will depend on your skin. We suggest to try a minimum amount and slowly add more until you are able to apply fully to your face. We hope this information will be of help to you. I am unqualified to answer--I have Rosacea & cannot use this product. Had to return. Hi , I am very interested in this product, but I need to make sure it is also cruelty free. Can you please obtain any information on this inquiry for me? BEST ANSWER: Thank you for your question. The Vitamin C 30X Skin Serum does not have any animal-derived materials nor is it tested on animals. We hope this information will be of help to you. BEST ANSWER: Thank you for your question. We suggest using this once daily, after washing the face under make-up. We hope this information will be of help to you. What other ingredients does it contain? BEST ANSWER: Thank you for your question. The ingredients are listed below. INGREDIENTS: Water, Vitamin C Complex [Water, Glycerin, Rosa Canina Extract, Punica Grantum, Tetrahexyl Ascorbate, Ascorbyl Glucoside, Ascorbic Acid] Propylene Glycol, PEG-16 Macadamia Glycerides, Octyldodecanol, Ethyhexyl Palmitate, Zea Mays (Corn) Oil, Tocopheryl Acetate, Cholecalciferol, Retinyl Palmitate, Pyridoxine HCl, Silica, Sodium Propoxyhydroxypropyl Thiosulfate Silica, Acrylates/C10-30 Alkyl Acrylate Crosspolymer, Triethanolamine, Phenoxyethanol, Caprylyl Glycol, Potassium Sorbate, Hexylene Glycol. is this serum 30% vitamin C? BEST ANSWER: Thank you for your question. 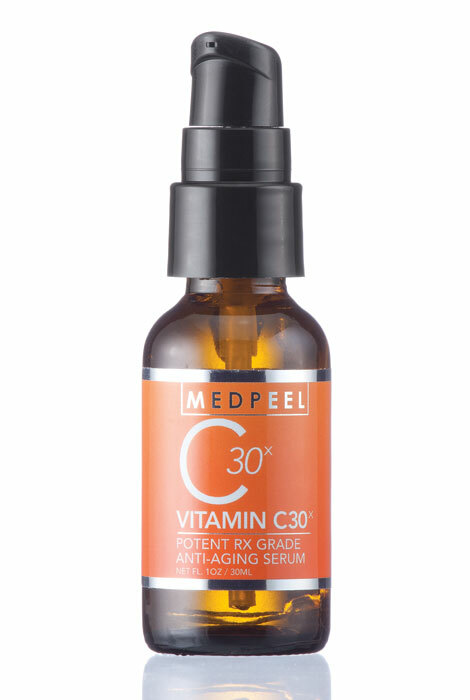 The Vitamin C 30X Serum is 30% vitamin C. We hope this information will be of help to you.